THE ORDER OF PHOSPHORUS is an initiatory order of practitioners focused on Luciferian and Left Hand Path Magick and ideology. While traditional Cabalists and Magickans view the Qlippoth as an Unclean and perverse inversion of the Tree of Life, suggesting that those who practice Magick avoid it due to the dangers within. 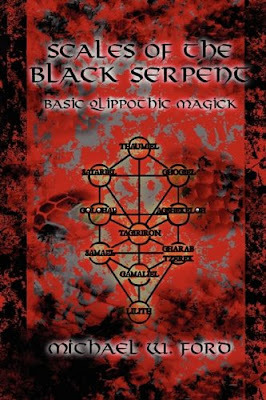 The 22 Scales of the Serpent are the Spheres and Tunnels of the Qlippoth which allow the Black Adept or Luciferian the ability to gain power from the depths of knowledge. Qlippothic demons and Archdemons are deep symbols of primal wisdom and possibility.